Fortitude Lodge was created on 4th June 1947 from another Lodge, Albert Duke of York, which had a surplus of members. Fortitude Lodge celebrated its diamond jubilee in 2007 and now has its own proud history. Fortitude is a sociable Lodge of like-minded people who enjoy each other’s company, who appreciate the traditional ceremonies, and who have fun together in raising money for charity. Albert Duke of York Lodge No. 4970. Albert Duke of York Lodge was created on 7th September 1927, the fifth of five Lodges created by Villiers Lodge No. 1194. Our ‘mother’ Lodge has the distinction of being named after Prince Albert, who later became King George VI, and who presided over its first meeting. The Lodge was named after the then (Middlesex) Provincial Grand Master, the Duke of York. A deputation was received by him and he not only approved the name but insisted that his own Christian name be added to give "Albert Duke of York Lodge". The Lodge proudly incorporates his coat of arms into their Lodge crest. Villiers Lodge was created on 5th September 1867 at the Northumberland Hotel, Isleworth, the first of five Lodges created by Rose of Denmark Lodge No. 975. So named after the Villiers family. Victor, Earl of Jersey (of the Villiers family) was one of the founders. He didn't take office but later went on to be Provincial Grand Master of Oxfordshire. Villiers Lodge was insturmental in seeing Middlesex becoming a Masonic Province. Rose of Denmark Lodge was the third of eight created by Royal Alfred Lodge No. 780. Royal Alfred Lodge was the third of six (or possibly seven) created by Zetland Lodge No. 511. Zetland Lodge (originally No. 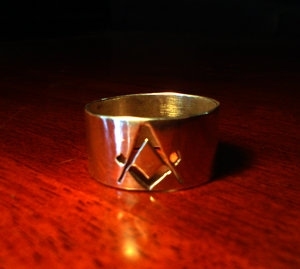 752) was created on 9th July 1845, the first of seven (or possibly eight) created by St. Luke's Lodge No. 144. So named after the Earl of Zetland, the Grand Master at the time. St. Luke's Lodge was consecrated on 24th July 1765, in the reign of George III. Orininally known as Flask Lodge No. 345 as it used to meet at the Flask Tavern on the N.E. corner of Ebury Square near where the Chelsea Barracks stood. For a time it was known as 'Duke's Lodge' as it was then meeting in the Duke's Head Tavern. However, in 1768, only three years after its foundation, it was dedicated to St Luke after St Luke's Church Chelsea, now known as Old Chelsea Church.